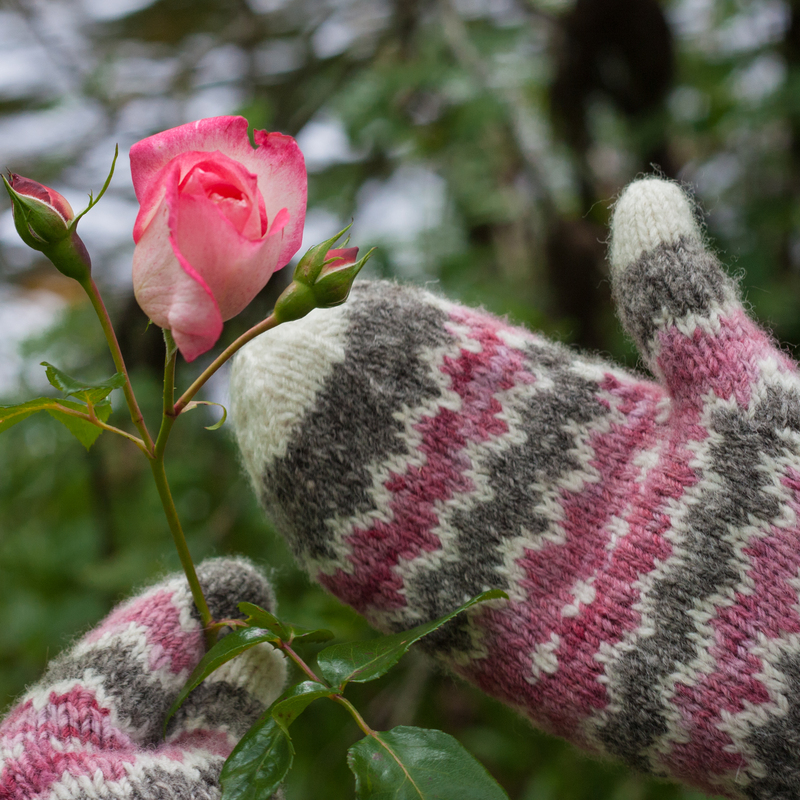 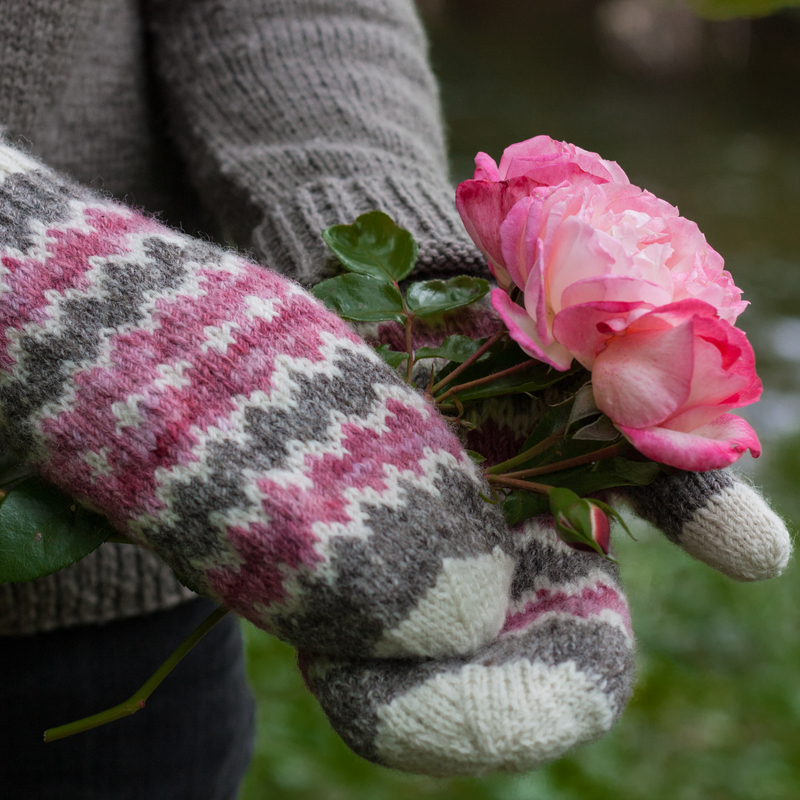 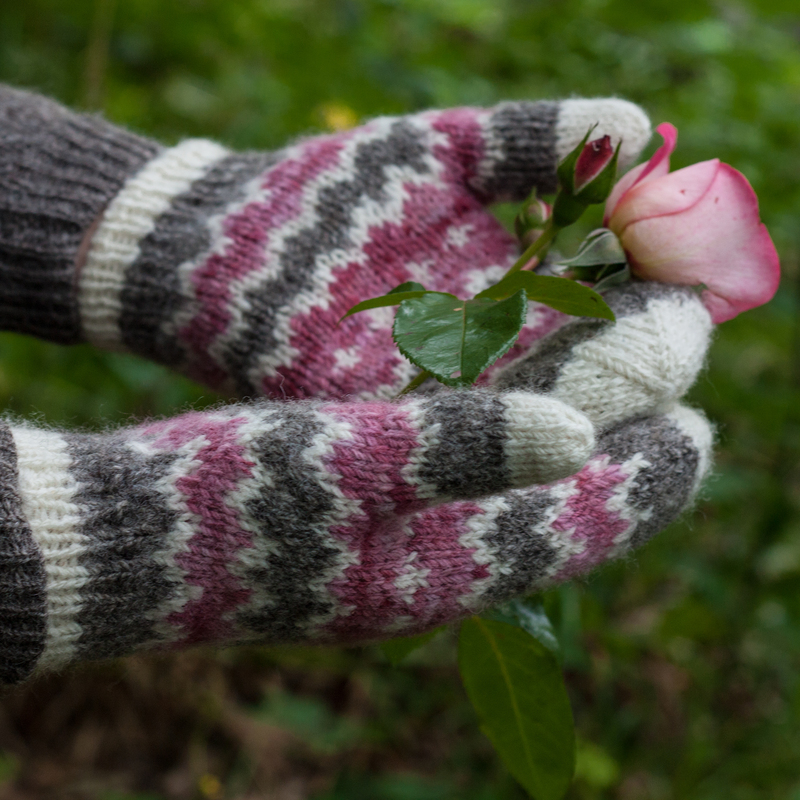 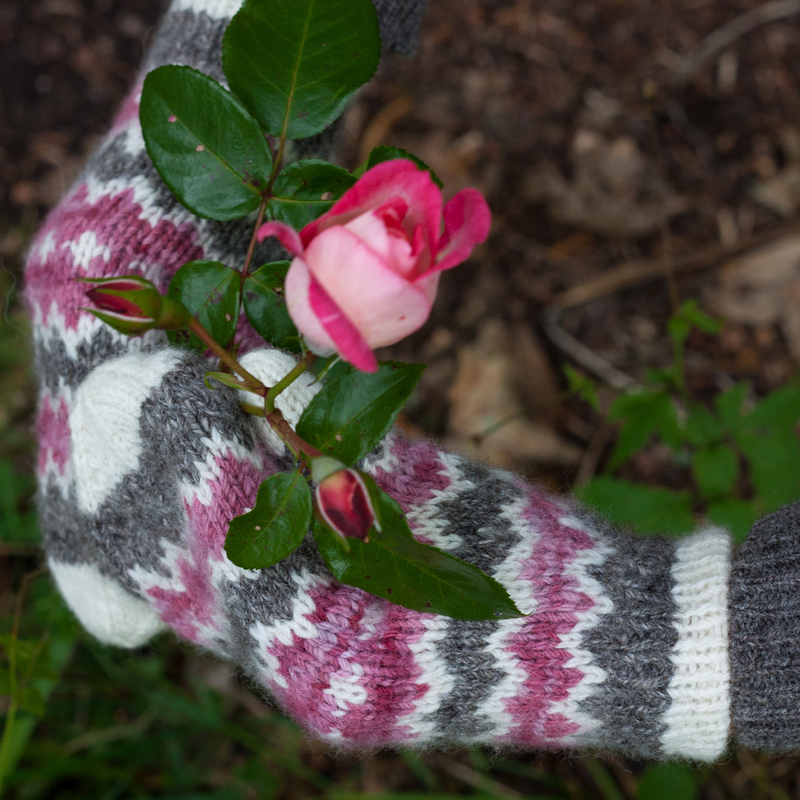 Resolis mittens are just what you need for a winter walk by the beach. 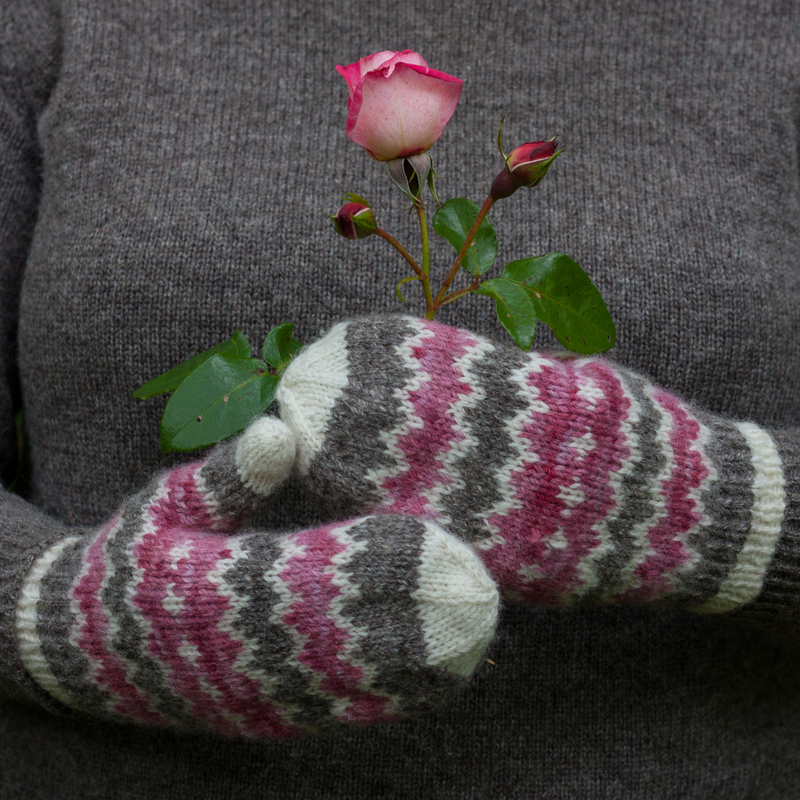 Using just three mini-skeins of Shetland DK from Black Isle Yarns and a simple 4 stitch colour work motif, these striking mittens are quick to knit and will keep your fingers toasty warm whatever the weather. 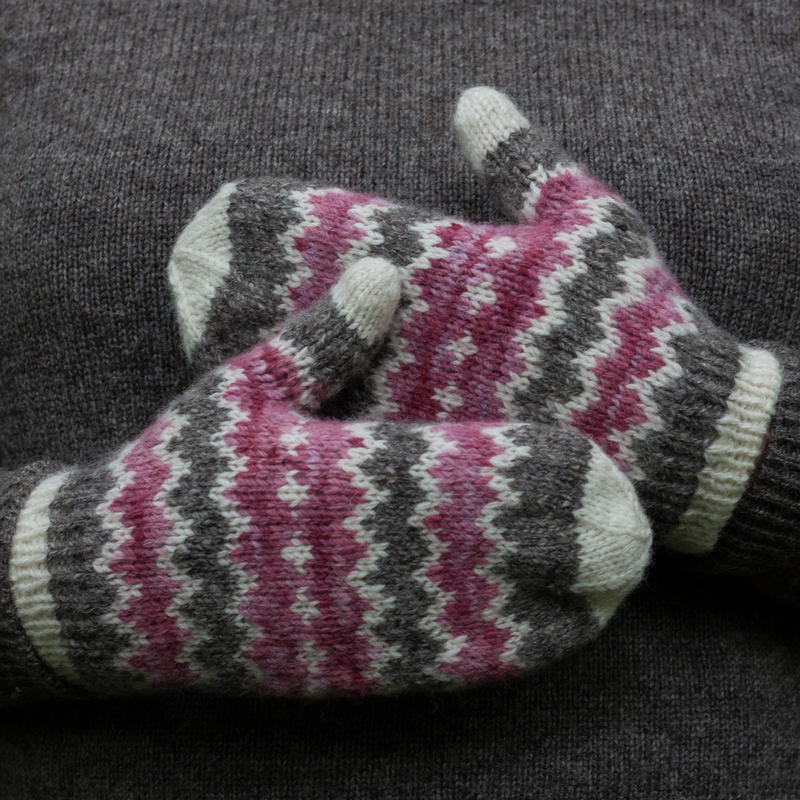 The mittens are shown with 0 cm / 0 in ease. 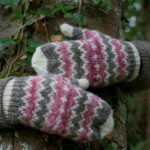 The pattern requires DK weight yarn in three colours. 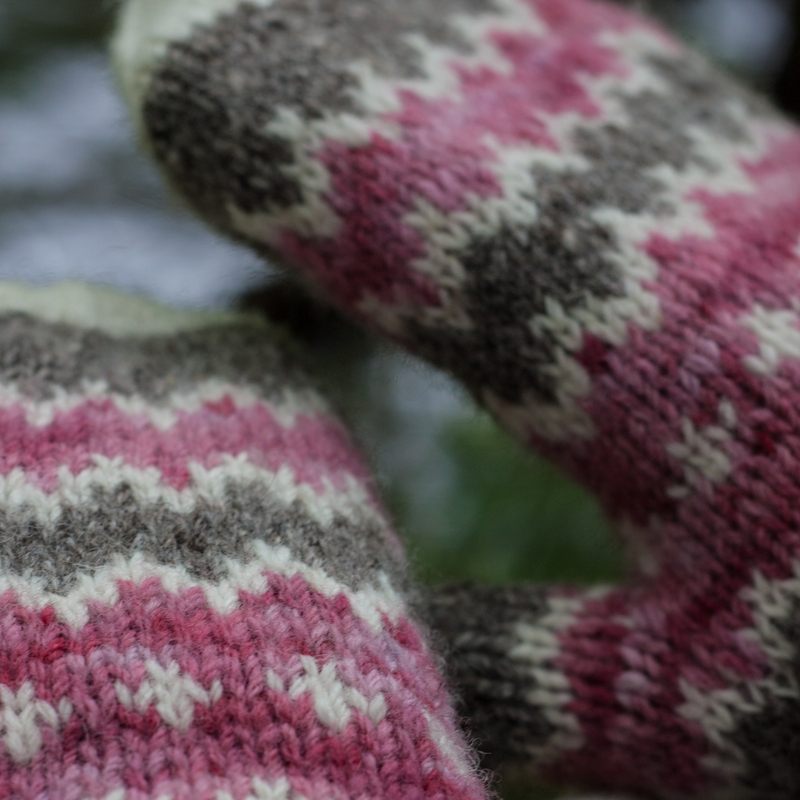 It is recommended to chose yarn with a high wool content, ensuring sufficient contrast between colours. Black Isle Yarns Shetland DK, 100% Wool, 170 m / 186 yds per 100g skein. 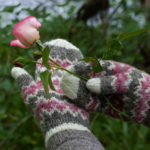 MC: Grey Heather, 51 m / 56 yds per 30g skein.